...a landlord in a residential tenancy may not increase rent, decrease services, bring an action for possession of the premises, refuse to renew a lease or threaten any of the foregoing, if there is a preponderance of evidence that the action or inaction would not occur but for the landlord's retaliation against the tenant for... making a good faith complaint about a defect in the premises... complaining to the landlord about a violation of s. 704.07 or a local housing code... exercising a legal right relating to residential tenancies. from Wisconsin Statute 704.45, "Retaliatory Conduct Prohibited"
Have You Been Retaliated Against for Exercising Your Tenant Rights? The law protects tenants from landlords who would retaliate against them (punish them) for trying to use their rights. The legislature, courts, and the Department of Agriculture, Trade and Consumer Protection have all created protections recognizing that tenant rights are meaningless if tenants will not use them for fear of landlord retaliation. 1. Did the Tenant Exercise or Try to Exercise a Tenant Right? The first sign that a landlord's action may be illegal retaliation is when it follows a tenant exercising their tenant rights. The tenant does not need to finish exercising the right (for example, by taking the landlord to court or filing a complaint) -- sometimes they could just have asserted the right or tried to use it (like by asking the landlord to follow the laws). Or, enforcing many other rights not listed above! Always Keep a Paper Trail! Even if the landlord and tenant both know that the tenant asserted a right, the problem may be documenting it. When tenants have a concern (for example, about repairs) they should never just talk to the landlord on the phone or in person. Tenants should follow up in writing and keep a copy of the letter or e-mail. Also, if tenants file a complaint with a building inspector, Consumer Protection, or another agency, they should get a copy of the report for their records as soon as possible. Whenever a landlord replies to a tenant's complaint, they should always do this in writing to document that they are following the laws. 2. Did The Landlord Commit a Retaliatory Action? Some things landlords do to retaliate are not illegal, like being rude to their tenants or talking about them to the neighbors. Only the following actions qualify as illegal retaliation, if the situation meets all the other criteria. 3. Did the Landlord do this Because the Tenant Asserted, Exercised or Tried to Exercise a Tenant Right? The tenant must only show that it is more likely than not that the landlord would not have done the action "but for" the tenant exercising a tenant right. While the landlord could have other legitimate reasons for doing the eviction or act, the retaliation is still illegal if the landlord would not have retaliated except that the tenant exercised their rights. However, Wis. Stat. 704.45 provides absolutely no protection against eviction if tenants are behind in their rent (except if the rent not paid is due to a retaliatory rent increase). This law also provides absolutely no protection for tenants making complaints about defects or damages which they caused themselves through negligence or improper use. NOTE: Double damages are always allowed for landlord retaliation under ATCP 134. See below. Like Wis. Stat. 704.45 the Consumer Protection code protects tenants who actually exercise a right. Unlike the state statutes, it also protects tenants who "asserted, or attempted to assert any right." NOTE: ATCP 134.09(5) has a slightly different list of tenant rights and prohibited actions (see above). Dikhut v. Norton is a court decision that protects a tenant's right to use a "public policy" like the building code. The case can protect tenants asserting or attempting to use a public policy (unlike Wis. Stat. 704.45) and can protect tenants not covered by the Consumer Protection (ATCP) code. The case requires a strong level of proof: the assertion, use, or attempted use of public policy must be the only reason for the landlord's eviction or harassment. City of Madison residents have the same protections they do in the Consumer Protection regulations, but the burden of proof is put on the landlord, meaning they have to show they weren't retaliating, or the tenant will win. If the matter goes to court, the tenants can cite MGO 32.15, which requires the court to "presume" the landlord is retaliating if the landlord's act occurred within six months after the tenant made a complaint to city authorities. 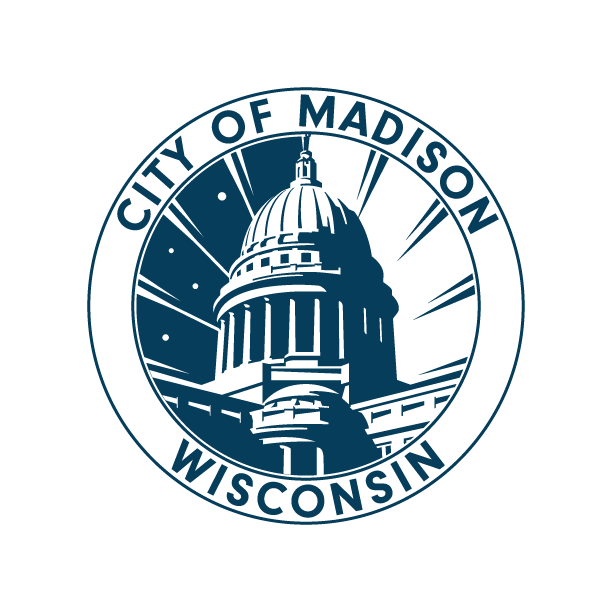 City of Madison police can issue fines from $60 to $600 for a limited number of violations (removing doors and windows, confiscating property, entering property without notice, failure to provide rent credit or return a security deposit). 1. Document what is going on. Tenants should write a letter to the landlord that documents that the act is retaliatory and they know it. For example, "As you know, I asked you last week to stop entering without proper notice. Today you have given me a nonrenewal notice. You should be aware that your nonrenewal is invalid and illegal under statute 704.45 and ATCP 134.09(5). I intend to renew and expect you to rescind this notice and remove it from my file. I know my rights to file a complaint or sue for my damages." 2. Contact an agency. If the landlord does not quickly take back the retaliation in writing, tenants should send a copy of their letter to Consumer Protection or call them toll-free at (800) 422-7128. Tenants in cities like Madison should also forward their complaint to the building inspector, police department, and City Attorney. Agencies may warn the landlord to stop their threats or harassment, or even prosecute if the landlord has violated regulations before. 3. Gather evidence. If the act(s) occurred after the tenant called the inspector, police, or other agency, they should get a copy of that report for their records. If the landlord sues to evict them, the tenant can bring the report, any letters, a timeline of the issue, and any other evidence or witnesses, plus copies of the laws, and ask that the eviction be dismissed. Under the new laws, it is extra important to have copies of these laws at the first court date, since the court will only schedule a trial if the tenant raises "valid legal grounds." Wis. Stat. 799(206(3), 2017 Wis. Act 317, Sec. 49, Eff. 4/18/18. The tenant may also want to bring any evidence they have to the initial hearing. 4. Bring it to a judge. If the landlord's retaliation has cost you money, you can sue for any related damages. Violations of Consumer Protection laws require mandatory double damages plus court costs and attorney's fees. Retaliation laws are in both Wis. Stat. 704 and ATCP 134. As of 3/31/12, if tenants sue in Small Claims Court for violations of chpater 704, they can recieve double any related financial loss. Wis. Stat. 704.95, 2011 Wis. Act 143, Sec. 36 Eff. 3/31/12. Double damages for violations of all of chapter 704 are only allowed between 3/31/12 and 2/28/14. After 2/28/14 they are only allowed for security deposits and illegal lease provisions. Wis. Stat. 704.95, 2013 Wis. Act 76, Sec. 27 Double damages for ATCP 134 have remained the same. If the landlord is threatening an eviction suit, the tenant can write back explaining they know they cannot be evicted in retaliation for exercising their rights. If it goes to court they can bring a copy of the letter and other evidence for the judge to see. Unfortunately, the tenant has to fight the retaliation with their housing on the line. Attorneys are not required in small claims court or eviction cases, but tenants may want to contact a qualified Wisconsin housing attorney. For more information see Eviction.